A message captured in the audio record of the killing of Jamal Khashoggi is widely believed to be an instruction to notify the Crown Prince Mohammed Bin Salman that the operation to slay the Washington Post journalist had been carried out successfully. In the recording, which Turkey has said was passed on to western allies, the comment “tell your boss” that the operatives had carried out their mission, is believed to be the strongest evidence connecting the Crown Prince, also known as MBS, to the murder of Khashoggi. While the prince was not mentioned by name, American intelligence officials believe, reported by the New York Times, that “your boss” was a reference to Prince Mohammed. Maher Abdulaziz Mutreb, one of 15 Saudis dispatched to Istanbul to confront Khashoggi at the Saudi Consulate there, is reported to have made the phone call and spoke in Arabic to relay the message to “the boss” that the operation to kill Jamal was successful. A former CIA officer also told the newspaper the comment strongly incriminates MBS. “A phone call like that is about as close to a smoking gun as you are going to get,” Bruce Riedel, who now works at the Brookings Institution, told the Times. “It is pretty incriminating evidence,” he added. People familiar with the content of the recording revealed that Mutreb, who is a diplomat and is known to be very close to MBS, spoke to one of the aides of MBS. While translations of the Arabic may differ, people briefed on the call are reported to have said that Mutreb informed the aide that the “the deed was done”. Turkish President Recep Tayyip Erdogan confirmed on Saturday the existence of an audio recording of Khashoggi’s death and said he had shared it with the United States, Saudi Arabia, Germany, France and the UK. “We gave the recordings, we gave them to Saudi Arabia, we gave them to Washington, to the Germans, to the French, to the English,” Erdogan said in a televised speech. “They listened to the conversations which took place here. They know,” he said. Yesterday, Canadian Prime Minister Justin Trudeau was the first leader to confirm that his country’s intelligence officials had listened to such a recording. While Trudeau said he hadn’t heard it himself, he was briefed on the contents. Days following the news that Khashoggi had been brutally killed by a special team of 15 agents at the Saudi consulate in Istanbul, Turkish sources leaked what they said was incriminating evidence showing communication between the assassins and the office of MBS. The assassins are said to have made four telephone calls from the Saudi consulate in Istanbul to the crown prince’s office in the hours after Khashoggi’s death but no details of the conversation was provided. While the official line of the kingdom has been to deny that the killing of Khashoggi had been authorised by MBS, details of the recording will be seen as further evidence that the Saudis are not telling the truth. This view has been reinforced by the shifting account of Riyadh from having first saying that Khashoggi had left the embassy then admitting that he had been killed in a fist fight then finally concluding that there was indeed an operation to silence the Saudi critic by killing him. Contrary to the view of many intelligence officials and experts, US national security adviser John Bolton said today that the recording from inside the Istanbul consulate did not appear to provide any link between the killers and MBS. 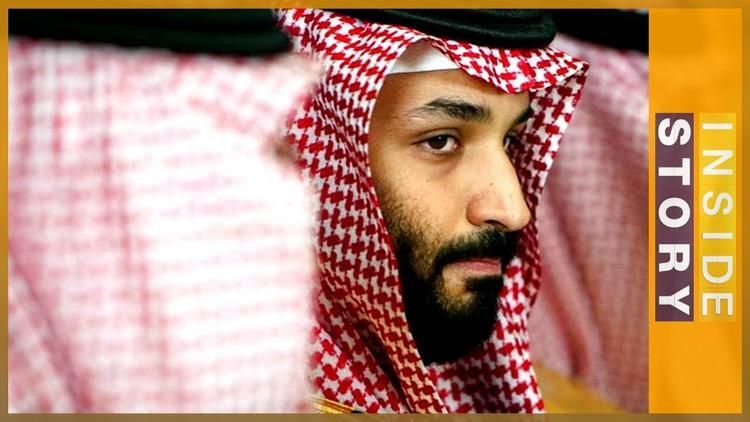 Critics of the kingdom however insist that the reference to “the boss” and the numerous phone calls as well as the way in which Saudi operates under an absolute monarchy all point in the direction of MBS. Many have argued that it is unthinkable for rogue operation to be carried out by Saudi agents linked to MBS. The killing of Khashoggi simply could not have taken place without MBS’ approval just as the continuing and deliberate killing of civilians in Yemen could not take place without his knowledge and approval. It’s also been pointed out that while the name of MBS does not appear directly in the recording, the circumstances and details of the killing of Khashoggi is the closest anyone will ever get to catching an authoritarian despot “red handed”. Given the staff hierarchy MBS had under him, added to the motive to silence dissidents, the news that a senior agent overseeing the murder told a staffer to “tell your boss” that the mission had been completed can only be a reference to none other than MBS.